I am frequently asked, “What do you enjoy doing the most for your clients?” Well, I have to say, I enjoy developing strategic communications plans but that’s easier said than done. It’s a bit like putting together a jigsaw puzzle when you first have to locate all the pieces scattered throughout the house or, I should say, throughout your organization! Our firm is often hired to develop strategic communications plans, mostly because few organizations have the time and in-house experts on staff to write their own. Some of them implement the plans themselves or, for others, we assist with implementation. We step in and do “plug and play” plans. More on that here. 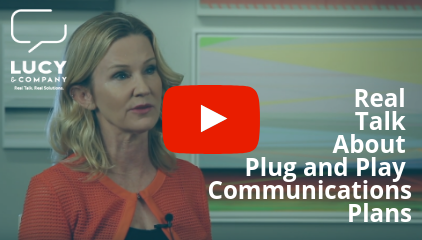 Strategic communication plans help your organization get on the same page when they talk to each other and communicate with their customers/stakeholders. Some plans are for one year, some for five, but they all require the same multi-layered, four-step approach: Research, goal planning/analysis, plan development and analytics/measurement. We always analyze your current communications tools like your website, social media and print materials. Then, we develop a report with recommendations, analysis and next steps. For some, we conduct quantitative research like online surveys or telephone surveys. For others, we do qualitative research like focus groups and stakeholder interviews. When we complete the research, we get busy analyzing it. With one of our clients, we learned that the employees thought hearing from the general manager was extremely valuable. One of our recommendations was to take that one step further and memorialize his comments in a regular “Words with John” communication. We work with our clients to determine their goals and recommend measurable objectives, conduct a target audience analysis and figure out what messages best resonate with which audience. Audiences are segmented into internal and external (primary, secondary). We also develop a SWOT analysis (strengths, weaknesses, opportunities, threats) with our clients to determine their internal and external landscapes. For example, we found one water agency client’s analytics of its e-blasts to customers were far above the industry norm. We pointed this out and made suggestions to even further enhance their reach. For another, a phone survey showed that bill inserts are highly read. We recommended that they modernize the graphics and include more topics that customers were most interested in learning about. That client was surprised at how valuable inserts are in today’s digital age. We develop strategies and activities to address the organization’s goals, what activities are most beneficial and what should be revised/updated. This could be newsletter updates, critical info missing from websites or a collection of photo/video assets to share on social media or in school outreach. For example, in a parking plan for a city, we recommended multiple methods the city used to educate the public about where parking was available and how to avoid getting a parking citation as part of their new smart meter program. This step outlines how you will determine how your communications plan is working for your organization. We build in measurement activities and tools. This may mean conducting a follow-up phone survey two to three years later or outlining how to measure the success of e-blasts. When our public agency clients don’t have the resources to develop a strategic plan, we are ready to roll. It’s equally fulfilling to develop a plan that our clients implement themselves or we assist them with implementing. Planning is truly a passion.